Indian companies will help with professional training of Bangladeshi workers who will take part in the construction of Rooppur NPP. A memorandum to this effect was signed by Nikolai Spasskiy, Rosatom Deputy CEO for International Relations, S. M. Saiful Hoque, Ambassador of Bangladesh to Russia, and Pankaj Saran, Ambassador of India to Russia. The document enables Indian companies to take part in construction, installation and delivery of non-critical materials and equipment for the nuclear power plant in Bangladesh. 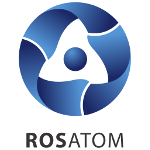 “Rosatom is an international company and a global leader in civil nuclear technology. We are open to cooperation in nuclear projects. This Memorandum has proven it once again,” Nikolai Spassky said.